Mental Experience present an expanded reissue of Ildefonso Aguilar's Erosión, originally released in 1985. Spooky, meditative soundscapes inspired by the desolate volcanic environment of Lanzarote (Canary Islands), created using Minimoog, Polymoog, vocal loops, and field recordings. 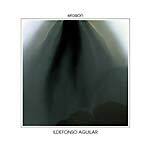 Originally recorded in Germany in 1978 by Spanish painter/sound artist Ildefonso Aguilar, only a selection of the original recordings were released a few years later on a very rare limited edition cassette and LP. Erosión is a masterpiece of proto-ambient, isolationism, and minimal synth music. For the first time ever, Erosión is reissued here on double LP, featuring the complete recordings, as Ildefonso conceived it at the time. Master tape sound; Liner notes in English/Spanish by Frankie Pizá (TIU Mag); Includes download code. RIYL: Edgar Froese, Conrad Schnitzler, Cluster, Klaus Schulze, Michael Stearns, Steve Roach, Brian Eno, Cozmic Corridors, Pina.